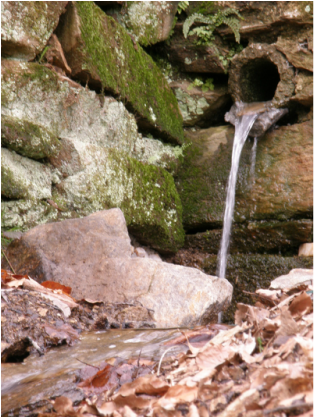 Our Sacred Spring flows all year round. We use a solar pump to move the water to storage boxes for gardens, and domestic use. For drinking water we personally collect the water in five litre glass bottles as we need it. La Sorgenta Bianca, which translates to The White Spring. There is an energetic connection from our spring to the Chalice Well and The White Spring in Glastonbury, England. The guardian of the Spring is female and her name is Mary.